WA breweries hogged the limelight at last night's Perth Royal Beer Show awards dinner, with most of the trophies remaining in the host state. Indeed, a sizeable chunk of them are headed to the one place: the brewery shared by Feral and Nail Brewing. Longstanding friends Brendan Varis (Feral) and John Stallwood (Nail) and their teams continued their decade-plus sequence of success at beer competitions with another clutch of gongs. 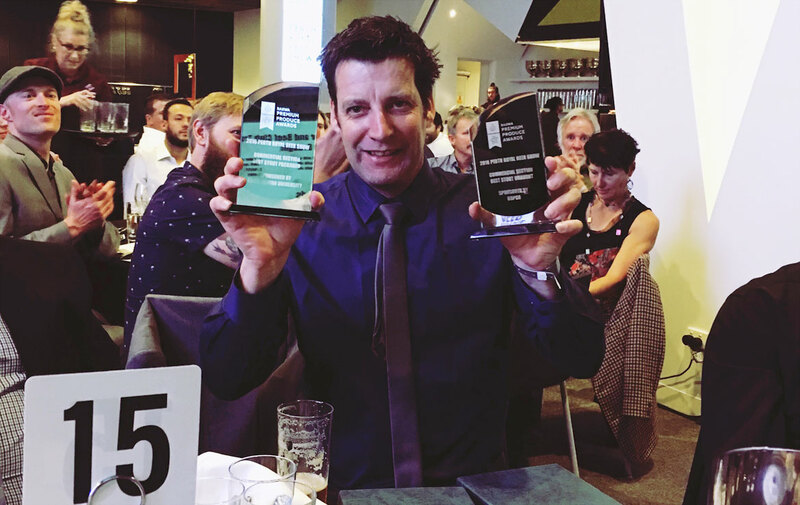 Feral, whose trophies were collected by head brewer Will Irving, was named Best Commercial Brewery ahead of Nail in second and Pirate Life in third, and also took out Best WA Brewery and Best Reduced Alcohol Draught Beer for its Runt. Nail's Clout Stout continued its remarkable run, collecting both stout awards (packaged and draught), while its Red Ale was named Best Ale (Packaged). Nail Brewing founder and head brewer John Stallwood (pictured above) said: "We are very proud of our results tonight. "Each year there are more and more beers and the competition gets tougher which is good for everyone who loves great beer and so to be taking three trophies back to the brewery is a huge honour. "We have a great team who work very hard so this recognition is very meaningful to all involved." Other local winners included Gage Roads, whose Little Dove was named Best Ale (Draught), adding to its Champion Australian Beer title at the Australian International Beer Awards, Billabong, whose Wheat collected Best Wheat and Best Commercial Beer of the Show, and Elmar's, who return to the Swan Valley with the Best Lager (Draught) for its Maerzen. Asahi won Best Reduced Alcohol (Packaged), Coors was named Best Lager (Packaged) and Best Packaging / Design went to Victorians Blackman's. 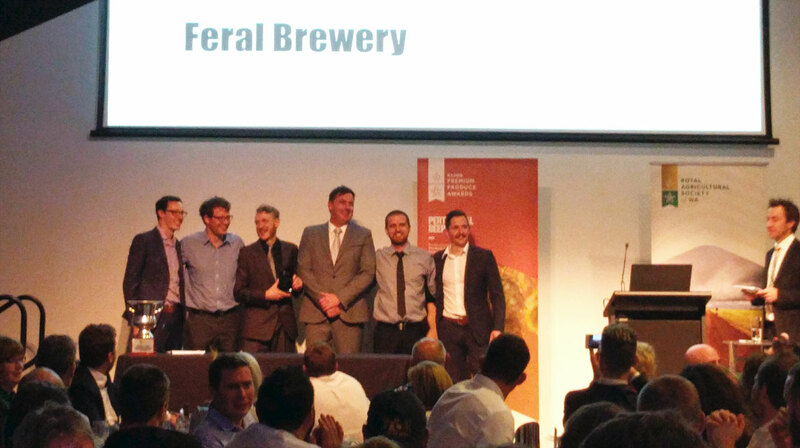 The Feral Brewing team (minus founder Brendan Varis) collecting their Champion Brewery trophy. 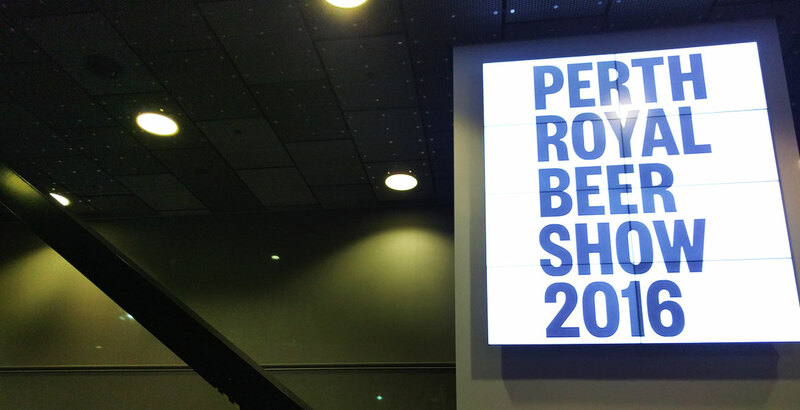 The Perth Royal Beer Show also celebrates homebrewers. This year's Best Amateur Brewer trophy went to Grant Smith with Best Amateur Beer going to Lee Cooper for his Black Dog Porter. Thanks to Pia Poynton for sending the results and photos.